spirituality. I have also taught on the university level. hypnotherapy. I also hold certification through the National Guild of Hypnotherapists. regulations which indicate that anyone practicing hypnotherapy is required to be licensed. of them in the large group seminars that I have conducted in cities all across the nation. Lastly, I have experience both in business management and as a management consultant. Wilson Method Empowerment Hypnosis© helps you to do. Use this moment, right now to make a new and better choice for you. 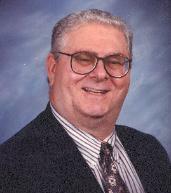 Edward J. Wilson, M.Ed., L.P.C., C.Ht.